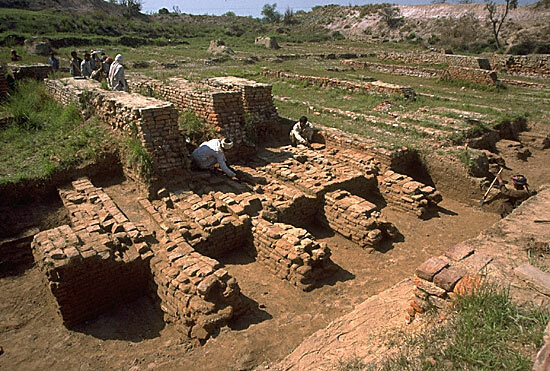 the original forms of the baked brick walls and hollow buttresses of the "granary"
After clearing the overlying silt, the original forms of the baked brick walls and hollow buttresses of the "granary" could be made out. The three high walls in the upper left of the image are part of a later rebuilding of the entire structure after ca. 2200 BC.